The established Ridgmar/Ridglea area of Fort Worth is a cozy part of Fort Worth that’s the gold standard of how neighborhoods hope to mature. Forever enjoying a healthy turnover of families who kept homes up-to-date and schools strong, this western part of the city never really went through a rise and fall leading to redevelopment. Instead, it’s like a wine that has just gotten better with age. Much of this area enjoys large lots, beautiful trees and winding streets. Whether you’re in Ridglea North, Ridglea Hills, Ridgmar or River Park, this part of town enjoys large parks and wide streets. There are unique amenities like Ridglea Country Club, access to the Trinity Trails and even Luther Lake, where the tradition of holiday lights still lives strong each year. 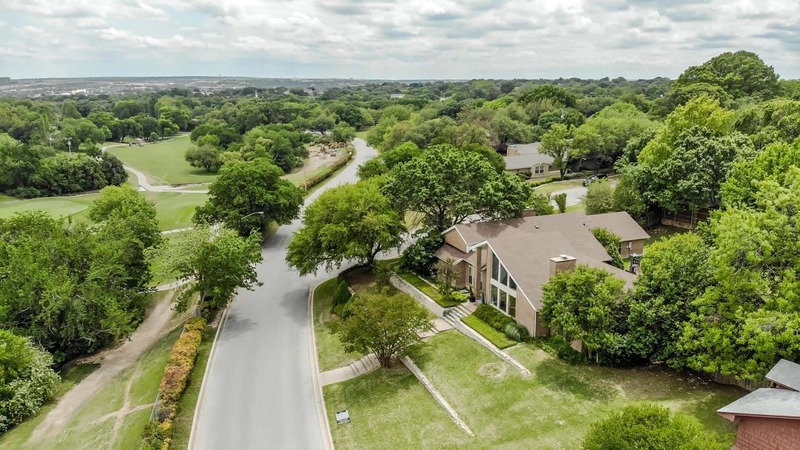 Schools like Ridglea Hills are a pride of the neighborhood, and residents enjoy easy access to shopping and dining through Vickery Boulevard, the Chisolm Trail Parkway and Highway 183, in addition to being near I-30. If that doesn’t wag your tail, this western portion is also home to one of Fort Worth’s two dog parks. That makes for a happy neighborhood.